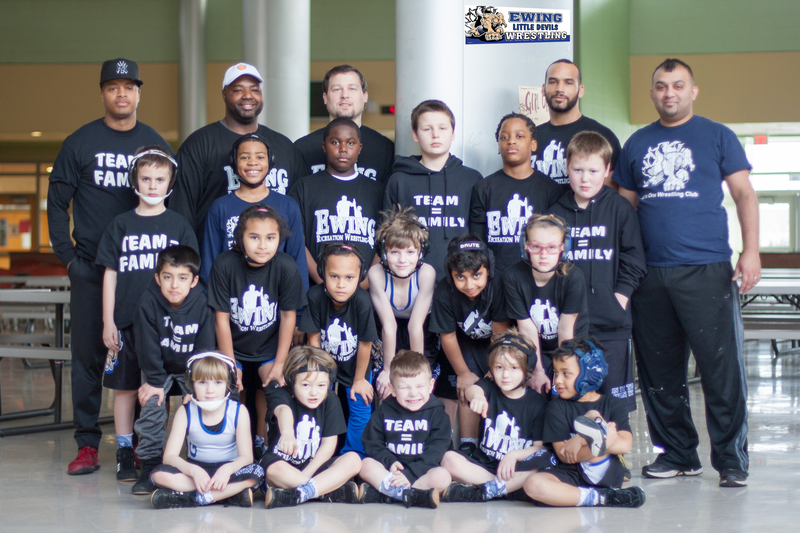 Ewing Recreation Wrestling is a youth wrestling program for all children in grades K-8. This is an instructional program, which emphasizes getting fit and building confidence. 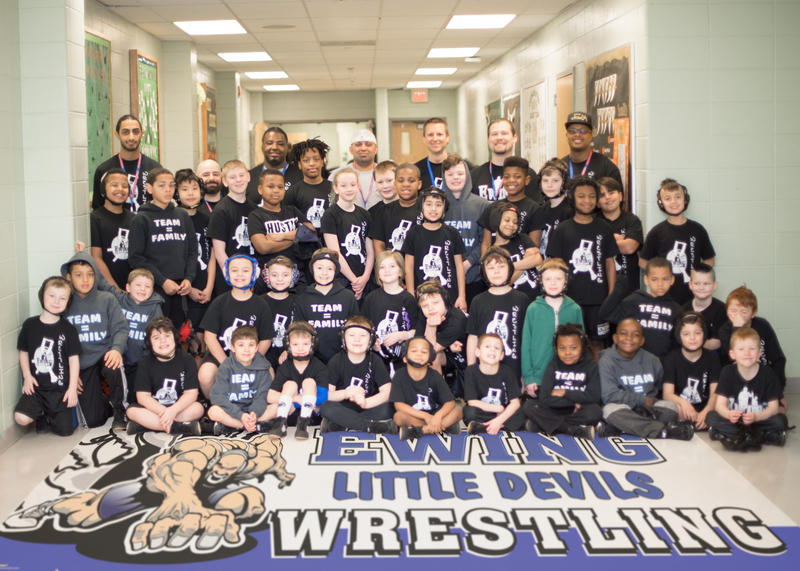 The club mission is to provide a fun and competitive environment at the youth level as well as to introduce children and parents to the sport of wrestling. Skills stressed include discipline, team unity, respect, and good sportsmanship. No previous wrestling experience needed to participate. WRESTLING IS A WINTER SPORT SO EVEN SOCCER, BASEBALL OR FOOTBALL PLAYERS CAN STILL WRESTLE. IT IS A GREAT WAY TO STAY IN SHAPE AND CREATE OPPORTUNITIES FOR COLLEGE SCHOLARSHIPS. Team equals family. We start together, we finish together. No one gets left behind. To say that the results from this year should make everyone smile is an understatement. This year was one that built on the challenges and opportunities from last year. The Delaware River Wrestling League was more competitive than ever with the addition of two very strong programs. Our team was bigger than we could almost imagine and manage. We were bursting out of our practice room. 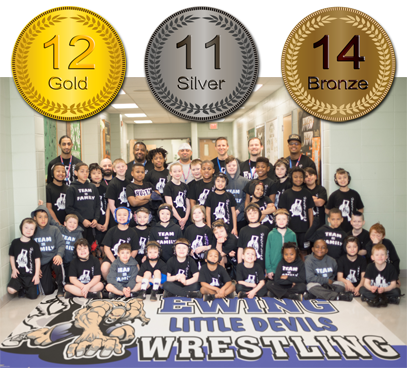 In the end we had more wrestlers in the final matchups then ever before and more of those wrestlers who were in the finals came home with gold than not, but more importantly all sincerely competed as evidenced by the emotions that came with the wins and especially the losses. Every wrestler, parent, coach and family member should be proud. 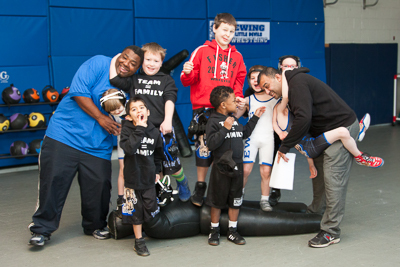 Click for a fun video from a Rec Wrestling practice start to finish. 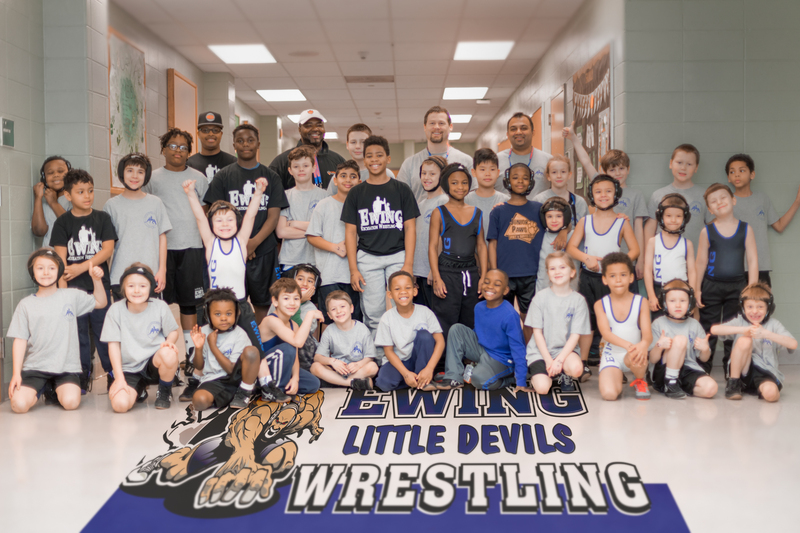 Click for the 2019 Ewing Recreation Wrestling registration form. Click for the 2018 Banquet Video in HD. Click for a fun video from a Rec Wrestling meet start to finish. The team made a great showing at the Delaware River Wrestling League Tournament. 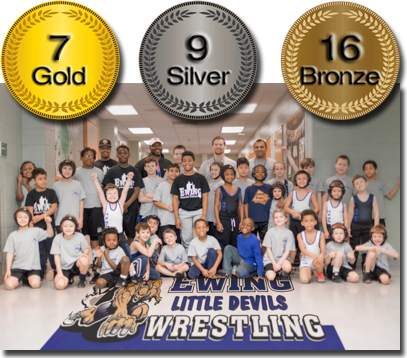 After the nine-hour tournament was over, eleven medals went home with Ewing Little Devils Wrestling.